Assalamu Alikum, I am Marwa Mousa, Arabic language Tutor for non-natives. I am Egyptian and I teach Modern Standard Arabic, Spoken Arabic (Egyptian, Levantine, Saudi and Gulf Dialects), Classical Arabic, Qur'an Recitation and Tajweed Rules. I have a wide experience of teaching all levels, ages and nationalities. 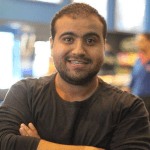 My passion for Arabic language led me to change my life and career away from Senior Software Engineer to Professional Arabic language Tutor for non-natives. With me, you will enjoy leaning and practicing Arabic language, and you will know a lot about Arab customs and traditions and Arabic literature and culture. I have a Bachelor’s degree in Arabic language and Islamic Studies from Dar Al-Uloom College, Cairo University where I studied Arabic language (Literature, Grammar, Literary Criticism, Literature History, Eloquence and Phonetics) and Islamic Studies (Qur'an, Sunnah, Hadeth, Islamic History, Aqida, Feqh, Shareaa, Quran Eloquence and Islamic Philosophy). I have a another Bachelor’s degree in Computer Science College, Ain Shams University. And I have a good experience in the Software Engineering field. I have certificates in Teaching Arabic as a Foreign Language from Cairo University and from "Eqraa" Institute. Also I have ijaza in Qur'an Recitation and Tajweed Rules. I worked for several years as a Journalist and a Literature Writer. And I have many awards in Journalism and Literature from the Egyptian Women Writers Union and the Modern Academy. I use different learning materials to make my lessons interesting and full of fun. I customize my teaching approach based on my student’s needs and goals. I seek to improve my student's confidence in using the language skills (speaking, reading, listening and writing) with a focus on everyday life situations. If you have any questions, you are welcome to contact me anytime. Have a great day and thanks for reading my profile! Assalamu Alaikum My name is Mohamed fouad.. 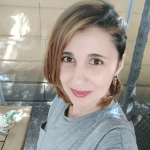 I am a professional, experienced and creative Arabic teacher for non-native speakers from Egypt. I am graduated from Faculty of Dar Al Uloom Department of Arabic section Studies and Islamic Sciences Cairo University 2002. 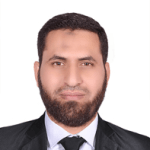 I completed my Bachelor’s degree at the Faculty of Public Education at Zagazig University in 2003. Then, I completed my Bachelor’s degree at the Higher Institute of Islamic Studies in 2010. Now, I am doing my Master in Arabic Linguistics and teaching Arabic at the department of Criticism and Rhetoric at the Higher Institute of Islamic Studies. All this made me able to teach Arabic for non-native speakers. I have 15 years work experience in teaching Arabic, Islamic studies, Modern Standard Arabic, Egyptian colloquial, Media Arabic, Grammar, and literature in centres, in schools, in institutes and online (for non-native speakers). I already have lots of students around the world so I know lots of cultures and I will share arabic culture with you. I have taught more than 5000 hours on four online platforms and I am enjoying it. I use different teaching tools to make my lessons enjoyable and exciting. For my methodology of teaching, I rely on students’ needs and goals. I also aim at making my students more confident to use the four language skills: speaking, reading, listening and writing. I also focus on conversations and on daily life language. I use many books to fulfill my students' learning needs. I offer you sessions that will make you able to speak and comprehend Arabic in an easy way by focusing on all of the four language skills and by using effective materials. I focus on communication and speaking. I teach grammar through dialogues, conversations. I will provide you with worksheets, audio and video files, pdf and word documents, and powerpoint materials. I use Google Docs to share and work on documents. My lessons are fun, interactive, and amusing! I would be glad to support you and be your tutor! 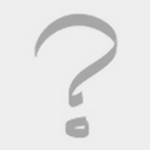 I would be glad to help you with gaining fluency in Arabic . 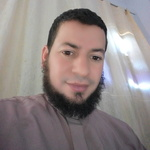 Assalamu Alaikum My name is Abdallah Zohery , I am from Egypt .I am a professional and experienced Arabic teacher for non-native speakers.I am graduated from Faculty of Islamic and Arabic Studies of Al-Azhar University in 2003, Do you want to learn Standard Arabic or Colloquial Arabic or Media? Do you want to learn the Koran and Provisions of the recitation? Do you want to learn The Hadith and its sciences? Do you want to be able to communicate with Arabic speakers ? If so, you have just met the right tutor. I am a teacher of Arabic and I have been teaching for 11 years in schools and online (Non- Arabic speakers). I also teach Quranic Arabic (classical Arabic) as well as Colloquial Egyptian Arabic, media and grammar, and literature to all levels (from beginners to advanced).,.I am graduated from Faculty of Islamic and Arabic Studies of Al-Azhar University in 2003, which made me able to teach Arabic for Native speakers or non-native speakers.I completed my studies until I got on the Pre-master in 2007 and then got a Master's degree in The Hadith and its sciences in 2010. I am now in the doctoral phase, which qualify me to teach all levels and I have work experience in teaching Arabic and Arabic and Islamic studies in centres, as well as teaching the Koran and Hadith and its sciences. I am a native speaker able to teach you modern standard Arabic. I offer you sessions and courses that make you able to speak and comprehend Arabic in an easy way by focusing on all of the four language skills and by using effective materials. I have B.A in Arabic language and literature; now I’m doing my Master degree in Turkey in international studies. My mother tongue is Arabic and I’m advanced in Turkish and English. I have the skill and experience to work in teaching all levels. I have used the Smart teaching Techniques for two years, and I have experience with several teaching programs and methods. I would welcome the opportunity to use my teaching and languages skills in teaching you Arabic. I prefer to make the classes enjoyable and fun, as I love teaching the language with its culture, and the culture of its speaker. Making the language more alive in the minds, which can make you more motivated for learning the language. First at all I like giving an introduction about the Arabic languages: -	Arabic language speakers. -	The linguistics family. -	The properties of the language. (Consonant and vowel letters). -	Writing of the language. We will do an exam to determine your level in Arabic language if you are not beginners. According to your level and your study purposes we are going to set a suitable plan. I prefer to use different teaching methods, I will use Pdf files, sending it to you after each class or before according to the topic, I will record Audios voices for each class and send it with the Pdf file, I’m going to upload the materials so you can access to it easily. In general I like to integrate language teaching with the culture of this language. I believe that the learning process becomes easier and more enjoyable. We will focus in developing the four skills, Reading, Writing, listening, speaking in each class, but after the basics [after teaching letters, and be able to read]. In the end of every class we will have a game, to choose a Number from 0-20, to learn something different and new from the language. 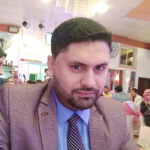 I am a professional online Arabic teacher, and I specialize in teaching Modern Standard Arabic (MSA), Qur`anic Arabic, reciting Qur`an and Egyptian colloquial. I have a B.A degree from Cairo University in Arabic language and Islamic sciences, also I have a High studies Diploma in teaching Arabic to non-native speakers, and I am doing my masters next year. I can help you learn Modern Standard Arabic, Egyptian Colloquial, Movies in Arabic, songs in Arabic, even learning through literature and to recite Qur`an. I have been teaching Arabic for six years now, in institutes and my own private clients. I have taught students from different cultures and varied ages. I have taught Children as well as adults from America, Europe, Australia and Asia. I have taught students working at the U.N, U.S.Air force, American private schools and individuals.